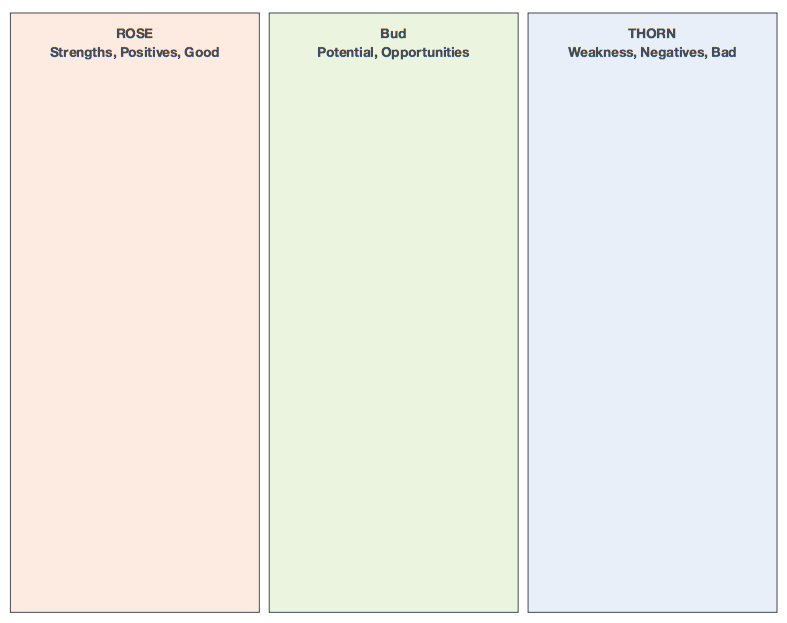 This framework helps a user or group conduct an analysis by visually categorizing positive (rose), potential (bud), or negative (thorn) aspects of a topic (e.g., system, product, process). Use this tool at the beginning of a project to clarify different facets of the challenge and identify areas needing further evaluation and exploration. Use the tool as needed to help maintain agreement among the team. Help identify problems and insights. Give all contributors a voice. STEP 1: Identify a topic for analysis.  Possibilities include systems, products, processes, organizations, etc. STEP 2: Pull together a diverse group of stakeholders, users, and subject matter experts. STEP 3: Pass out red (rose), green (bud), and blue (thorn) sticky notes to participants and have them write the strengths, opportunities, and challenges associated with the topic. If colored sticky notes are not available, use red, green, and blue markers with plain sticky notes, or use a whiteboard with colored markers. Optional: Use the Rose, Bud, Thorn worksheet as your guide. STEP 4: Encourage participants to generate multiple issues, insights, or ideas, but to capture only one per sticky note. STEP 5: Group the colored sticky notes on a whiteboard or similar surface according to rose, bud, and thorn. STEP 6: If desired, participants can group or cluster items further by priority or related themes and give each group a title.